Against the backdrop of World War II, Japanese writer Endo ( Scandal ) explores the nature of morality. In this novel, originally published in Japan in 1958, the author examines the inner lives of three characters in the central drama, a grisly vivisection of an American prisoner of war, in an attempt to understand what conscience, or lack of conscience, allowed them to participate in such an atrocity. 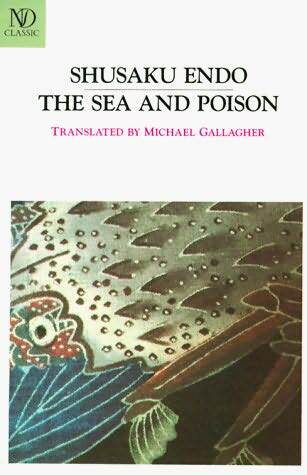 The Sea and Poison is the first novel in this readalong that truly upset me. It’s an excellent book but so depressing and bleak, it reminded me of Kafka’s In the Penal Colony which was so far one of the most disturbing books I have ever read. I was afraid that the part on the vivisection might be too graphic but Endo is far to subtle a writer to be too explicit. The horror lies somewhere else. No doubt it was a time when everybody was on the way out. If a man didn’t breathe his last in the hospital, he might well die that night in an air raid. However we get to know Toda, the nurse and Suguro’s motivations and their stories. What is important is to underline that they could have refused. All three of them were asked whether they were willing to particpate and none of them refused. Suguro is the only one with a conscience, still he accepts because the proposal comes at a moment of utter disillusionment. He has lost a patient and has seen how “The Old Man” lied about a patient he lost. He sees how many people are killed in air raids, how hopeless it is to help. When he is asked he doesn’t really say yes but he can’t refuse. Only at the last moment does he back off and doesn’t want to touch the patient. And Toda? Toda is a being without any feelings. Since his early childhood he is aware that he doesn’t care about other people, that he cannot connect. He has no empathy, no compassion. Occasionally he wonders if there is something wrong with him but at the end of the day he thinks that most people are like him. I would like to ask you. Aren’t you too, deep down, unmoved by the death and sufferings of others? Aren’t we brothers under the skin perhaps? Haven’t you, too, lived your life up to now without excessive self-recrimination and shame? And then someday doesn’t there stir in you, too, the thought that you are a bit strange? The questions the novel poses are manyfold and extremely interesting. One could ask whether those who do not directly kill the prisoners are as guilty as those who kill them. Is Suguro who can’t say no and watches but doesn’t touch the patient less guilty than the chief surgeon who performs the surgery? And what about the chief surgeon? He is a man who is responsible for the death of many people. He performs a surgery and it goes wrong. He makes mistakes, people die. Is he less guilty of those deaths than of those of the American prisoners? The type of questions this novel poses are the same that were asked in Germany after the war as well. Were those who watched and let things happen less guilty than those who took an active part? 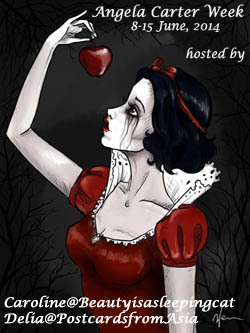 This made me think of Macbeth. Who is guiltier? Macbeth who did the killing or Lady Macbeth who had the idea? 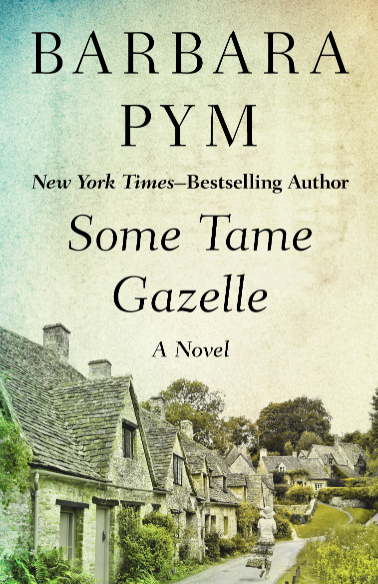 I know it is said that this novel explores individual responsibility in wartime. I’m sure that is an important topic but I think two other things were far more important. I think this book criticises doctors and health care professionals in general, showing them as too keen on success and power, as heartless and inhuman. And it also wants to illustrate that people are selfish and mean. I cannot say I “liked” this book but I did find it extremely thought-provoking, the writing is captivating and the character studies interesting. I’m really looking forward to read what you thought of it. The Sea and Poison was the fifth book in the Literature and War Readalong. The next one will be Primo Levi’s If This is a Man aka Se questo è un uomo. Discussion starts on Friday June 24, 2011 . It’s about individual resistance to “social” pression, isn’t it? What would have happened if they had refused to participate? I wonder too what would have happened if they had said no. It seems that in the case of the nurse it would really not have been a big deal. For Suguro it would have meant the end of his career but since they all did prison, they ended their careers anyway. It reminds me of my former boss who never stood up against the abusive line manager and when she finally was removed they removed him as well because he did tacitly accept what she did. He was German and you can imagine what type of comments his behaviour triggered. Is it linked to Japanese culture ? That respect for authority? Plus I think that in the medical field, hierarchy is very important almost like in the army. In hospitals, doctors feel really superior to nurses and show it. The other question (and it’s the same for your ex-boss case) is : is there a way to make it known? I haven’t read the book, so I don’t know about the story. But in companies, I feel that there is no way to speak without creating a huge wave. There is no natural canal of communication to let know what happens: by-pass the boss to his/her boss? Not always easy, especially when the boss is overseas. Talk to the HR? Most of the time they do nothing. Finally, it ends up at the Health Officer or in the ears of the Unions. If you have a Union. I agree, it isn’t easy. Endo apparently wanted to study medicine. Maybe there is something hidden in this and it is a criticism of japanese society. Endo was a Christian. He even wrote A Life of Jesus which I bought a while back. I am not a huge fan of doctors myself and really think he pictured something that does still exist in any culture. There is a huge difference, in Switzerland at least, if you are a first class patient and pay a higher insurance or second or third class. No professorwill do surgery on a 2nd/3rd class patient. In some countries you are not sure to get the most expensive medicine either. He was a Christian? For a Japanese, it certainly meant something, it’s more a choice than in Catholic countries. Real Christian religion is really compassionate and you’re supposed to help the sick and the poor. If he witnessed that kind of behaviours among doctors he must have been shocked. btw, what you describe is “just” how our mercantile societies merchandize everything. Football isn’t a sport but a show. A sick person isn’t a patient but a client. The goal isn’t to sell goods, play football or treat patients. The goal is to make money. Indeed. I have these type of things on my mind a lot lately which certainly was a reason why the book truly disturbed me. He wasn’t a convert, his family were Christians but it did surprise me alot when I read it. I remember Novroz reviewed his novel Deep River which also focused on religious beliefs. His world view is totally disillusioned but I don’t think he only wanted to say that this type of behaviour was linked to war. That’s how people wanted to read it. a great review, Caroline. In some ways, it complited my review. The way I feel about the book is like you, it showed the bad side of doctors. It’s depressing, somehow, but it is also interesting. I guess it is because I enjoy reading new type of characters or new way of seeing things. I guess you won’t like Deep River as well. His way of making character is a bit like the sea. Thanks, Novia. Yes, I agree, both reviews together give a whole picture. Interesting and depressing, yes. I thought I would like Deep River more. I will have to find out. Endo is a tremendous writer. I haven’t read this one but I have read a couple of his others and I have huge regard for him. It reminds me of One Man’s Justice by Akira Yoshimura which I reviewed over at mine, but more meditative. That too deals with a war crime (there the beheading of American PoWs) but it takes it in a different direction examining concepts of justice and for that matter of perceived justification. It’s a difficult novel because the protagonist is unquestionably a war criminal. Here too there’s no shrinking from what they did. It’s good frankly to see Japanese writers engaging with these themes and with the uglier parts of their history. Where are the British novels dealing with our acts in Africa in the 1950s to pick one other possible example among many? Endo from what I’ve read is a profoundly moral author. Moral examination is a curious thing, if done rigorously (and he is rigorous isn’t he?) it’s profoundly uncomfortable. He is very rigorous and probably very moral. He unmasks his protagonists completely. It didn’t feel exaggerated at all, that’s why it was so disturbing, I suppose. I haven’t read Yoshimura and need to read your review but I will probably not read it any day soon. I think one of Murakami’s novels also deals with a war crime (The Wind-up Bird Chronicles). There seesm to be an effort to look at these ugly details but only to a certain extent. The Japanese have committed a few atrocious war crimes in China (like the Nanking massacre) but I’m not sure they write about it. In Europe I have a feeling the only country looking at their ugly side are the Germans. The rest pretend that compared to what the Germans did, everything else is sort of not that bad. I find it awful when people rate atrocities. Saying this crime was worse than that, seems cynical. At the end of the day every crime has individual victims, inflicts individual suffering. For the individual victim it is not important whether he died/was tortured/ etc alone or with others…. Now I’m slightly off-topic. 1. To me the most thought provoking theme was whether medical experiments on the condemned can be justified by their scientific results. Unfortunately, Endo mentions this but does not delve into it. The vivisection reminded me of the dilemma of what to do with the results of the Nazi experiments done in the concentration camps. Endo would have done better to add a chapter on the post-war trial where the defense would have brought up this argument. 2. I was surprised that there was no discussion among the participants about what would be the consequences of an obvious war crime when Japan inevitably loses the war. They definitely knew Japan was going to lose. It seems logical future justice would have been discussed. 3. I liked the back stories on Suguro, Ueda, and Toda, but I question Endo’s strategy of following Suguro throughout the book, but jamming Ueda and Toda into the middle of the book. It would have been much more effective if the book had followed the three parallel through the book. Plus why were Ueda’s and Toda’s stories told in first person? Why portray Toda as a sociopath instead of having him represent the much larger group of Japanese who would have been hardened by the war. Endo actually has no character that is cynical because of the horrors he or she has seen. 4. I did not see the book as particularly critical of Japanese doctors. I think they behaved appropriate for the culture and situation. Japan was very hierarchical back then and when you throw in the callousness that would naturally develop from practicing medicine under those circumstances, you get a realistic portrayal of a medical faculty. Besides, not all the doctors are cynical – Suguro tries to save an old woman who was a waste of time, seriously. 5. Caroline: “The type of questions this novel poses are the same that were asked in Germany after the war as well. Were those who watched and let things happen less guilty than those who took an active part?” I did not get this impression. I do not think Endo meant for Suguro’s refusal to participate in the vivisection to be a referendum on whether he was just as guilty as the rest. If he did mean to ask that question, here is the answer – Yes, of course, they are less guilty. You can not seriously argue that Suguro deserved as much punishment after the war as Hashimoto! 6. The operation that resulted in the death of the young woman was by far the best part of the book. 7. When I look at my notes and find zero interesting quotes, the book is not special. 8. You focus on the harsh treatment of the doctors and overlook the extremely harsh protrayal of the Japanese officer corps! They have a party after witnessing the vivisection!! 1. I didn’t even get to that type of thinking as for me to condemn them was already a war crime. You can’t just kill POWs. The vivisection didn’t make it much worse. 2. I have a feeling that the Japanese didn’t think they were going to lose. If they had I don’t think there would have been a need for Enola Gay. I think they strongly believed their leaders who didn’t want to give up and thought they were going to win until the very end. But there are two little instances in which Suguro speaks/thinks about the possible punishment. 3. Part II with the chnage in Point of View did surprise me but I found it quite good. He did manage to capture the different voices. They were interesting stories, I agree. The fact that Toda is a sociopath made me think that it wasn’t so much about the war in the end. 4. No, they are not all cynical. I think he wanted to show that some choose the profession for good reasons and are then perverted by the system. 5. That’s not how I see it at all. I think there are four levels of participation. Those who give the order but don’t do anything. Those who give an order and participate. Those who obey the order and those who just stand watching. On a moral level they are all equally guilty but the first three were (at least Geramany punished). Also those who gave the order without doing anything. And I’m glad they saw it like that in Nuremberg or elswhere or people like Reichmann wouldn’t have been punished. 6. I thought that part was masterful. 7. I did fin a few and many I didn’t include. As far as #1, I was referring to the dilemma of whether you use the results of a medical experiment conducted under these circumstances if the results could save lives. As to #2, you can continue to fight even when you know you are going to lose. The Japanese people did not carry on because the government was lying about them winning. They were not stupid. When your cities are being bombed with impunity and so many boys have been killed, you know you are going to lose. The continuous escalation of hardships would have made the government propaganda false. Doctors, in particular, would have been highly likely to know the nation was headed for defeat. It was part of the Japanese culture to continue on despite the knowledge that the war was lost. (The same could be said for the Germans but for different cultural traits.) The bombing of Hiroshima did not convince the Japanese people the war was lost – it convinced the civilian leaders not to ask the people to make the final sacrifice of dying for their country. I did some research and was shocked to find that the people who participated in the human experiments in China were not brought to justice after the war (unlike their German equivalents). Even the head of the infamous Unit 731, a Gen. Ishi, did not even stand trial! He is a Mengele-level villain. The U.S. wanted the data and made a deal that included immunity. Apparently, an exception was made for the incident involving American POWs mentioned in the book. On May 5, 1945, an American B-29 bomber was knocked down over southern Japan. Eight American airmen prisoners were made available for medical experiments at Kyushu Imperial University. The eight were dissected organ by organ while they were still alive. This is the only site where Americans were incontrovertibly used in dissections and the only known site where experiments were done in Japan. Kyushu University, Fukuoka, is midway between Hiroshima and Nagasaki. I’m astonished about myself. I thought the vivisection was purely fictitious. Do you think that everything the Nazi doctors found out was discarded? I really don’t know. To be honest, I think, now that i know it is true, that anyone who was asked, whether a doctor or a nurse had no chance to say no. Once you were asked, you knew, and that was dangerous. I’m not surprised there was no punishment for acts committed in China. In any case, thanks a lot for the information and the link. Something that surpsed me is the fact that they used anesthetics in the book. I think during many vivisections they did in Germany, they didn’t. wasn’t Mengele notorious for performing whatever he did without the person being anesthetized. Did you not try and watch the movie? I’m tempted to watch it, I’d like to see how they act. I think, from what i know, that the German people were glad the war was over, lost or not lost. All in all I think that Endo managed to say some very profound things and his analysis of the weakness of human beings is sadly accurate. They did not use anesthesia in the real vivisections. I wonder why Endo chose to change it. He certainly would have known this. This Ishi fellow deserves to be one of the great villains of the 20th Century. I had never heard of him, so thanks for encouraging me to read the book. I learned some disturbing things from it (and my research). Things that have been covered up. (The Japanese governemnt was great at this!) It is also very disturbing that not only did the perpetrators of these atrocities get away with it, but many remained influential members of the Japanese medical community for years after the war. And they did not change their core values. Disgusting. Itis disgusting, I have to agree. I’m glad you did the research. I ran out of time. I’m not sure Endo knew. I don’t know how much they knew in 58. Or he wanted to spare his readers. Ishi sound slike a real villain. Right next to Mengele and some others. That’s exactly what happened in Germany too, many nazi’s remianded influential and that was one of the things that the Red Army Faction fought. I’ve only just skimmed your post and the comments as I am still reading. Even though this is a short novel I am reading it in small sections as it is uncomfortable reading matter. I’ll check back as soon as I’ve finished! I’m glad I’m not the only one who feels that way. It did upset me, withouth even knowing that this is based on a true story according to Kevin’s last comment. There is no limit to what people would do to each other. The vivisections were not done with anesthesia! I wonder why Endo pulled his punches there. He certainly would have known the truth. It angers me, because he does not clearly portray the incredible torture that would have been. In some ways the operation on the American POW is not that different than the botched operation on the young woman. Thank you for encouraging me to read the book, if I had not read it I would not have been compelled to find the truth about these abhorrent experiments and I never would have heard of Shiro Ishii – one of the worst villains of the 20th Century. I know you don’t agree but Endo is one of the great writers… It took a lot of guts to write this novel. I wonder if it has something to do with his being Christian that he chose to write this. To tell you the truth the more I think about it the more upset I am about how Endo did not tell the truth about the terrible torture that the vivisection must have been. When you think about it, the scene was not that much worse than what happened to the young woman by accident. By adding anethesia to the scenario it could be argued he was supporting the argument that this POW was going to die anyway so it might serve a medical purpose. Do the participants agree so readily if they knew there would be such pain inflicted? I’m talking myself into smacking Endo when I see him. That’s why I said I thought the real crime was that they were going to be killed, without the anesthesia it’s a completely different story. The question is whether he didn’t know. I will be posting my review later this week. I finished the book on Friday, but I’m still trying to pull my thoughts together. I didn’t really like this book. It’s hard to say one likes such a book given the subject matter, but I didn’t like the structure or the writing, though I wonder if something is lost in the translation. I thought it was odd to open the book with a new patient of Suguro’s who finds out about his past, but never come full circle and revisit that man. About halfway through the book, I started looking online to see if the vivisection of American POWs was true and was horrified when I saw it was. Not that I didn’t believe something like that would happen, just it was sickening. Like Kevin, I was then surprised to see that Endo had them using anesthesia in the book when it clearly said in the online sources I read that the real vivisections took place without it. I don’t know anything about the author or his motivations, so I can’t speculate on it. When I thought about the themes of guilt and conscience, I also thought of how this could parallel with some of the stories about the Nazis, where some were sorry for what they did during the war and some were not. And above all, I was sickened by the way these doctors acted and the lack of hygiene that characterized that period in medicine. I think there will always be doctors who care more about advancement and less about their patients, but at least hospital hygiene has advanced some in the last 60 years. I’ll be reading and linking it. No explanation why he chose to include an anesthesia, though. I was so puzzled when I read it and thought that compared to what the Germans did this showed a tiny bit of consideration for the prisoners. I was so wrong. It already upset me, but after reading about the details it was worse. About the hospital hygiene, I have seen an emergency ward in a hospital in Paris after my cousin lost consciousness in the streets and no one knew what had happened. I almost fainted when I saw the condition it was in. I’m sure standards are better in Japan now, way better but it’s not a universal standard. Your comment is timely. I’m going to announce my participation in the Japanese Literature Challenge today! I’ll definitely have a look at your post. Thanks.